It was a busy Canada Day for Calgary general manager Brad Treliving as he continued his revamping of the Flames roster with the addition of two more veteran players to plug two glaring holes. The work began in earnest last Friday in Buffalo when veteran goaltender Brian Elliott was acquired from St. Louis in exchange for a second round draft pick. One week later as the free agent signing season began, Elliott's teammate Troy Brouwer was added to the fold along with goaltender Chad Johnson. For more on the two signings in which, co-incidentally, both players just happened to be in the Calgary area, I refer you to Friday's comprehensive recap that contains a variety of thoughts from the acquired players and from the GM. Also, I took a stab at figuring out roughly where the team sits in relation to the salary cap. Meanwhile, there were far too many quotes to note and topics to broach to squeeze into yesterday's piece. So today, in part 2 if you will, are some other random notes and anecdotes you may find interesting, and will give you a little insight into the two newest Flames. "I love that (the Flames) contacted me early. They showed how big a part they wanted me to be in the franchise and on their team," said Brouwer. That courting also included phone calls from a couple Flames players starting with team captain, Mark Giordano. "Gio was the first one to call me. He just reiterated how good the group of guys are, how tight-knit they are, that they want to play for each other, they want to win for each other, which are huge intangibles that you have to have," he said. Next he heard from Deryk Engelland, an old teammate from the 2002-03 season when he was in the WHL. "Engelland called me as well. I played with him a long time ago in our Moose Jaw days in junior. He was more saying how well the wives get along and that it's a great environment for everyone and our family to come into. That you get treated great by the city, great by the team, just making sure that comfort level of going into a new place is easy, so that the transition for you and your family can be as easy as possible." Heck, even the GM's wife got involved. "From Tre's wife calling my wife to make sure everything was good or if she had any questions," said Brouwer. "Good feelings all around." In the end, Treliving got his right winger. "The enthusiasm that they showed with me as a person and a player, it went a long way with me and my family and that played a big part in our decision." 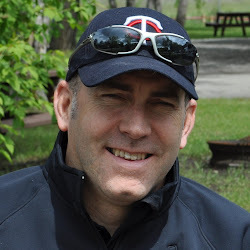 "I played for Bow Valley in the south east so I'm used to these colours, I grew up with these colours," said Johnson, with a smile, referring to the Flames colours are also Bow Valley's uniform colours. "Being from Calgary so like everyone else, you want to see this organization do well. To be able to have control of that and be a part of it, I think everyone wishes they could do that so it's exciting," said Johnson, who was born in Saskatoon but moved to Calgary when he was one year old. He has always spent his off-seasons in Calgary. He trains out of Crash Conditioning. Now he'll be in the city year-round and Treliving could tell how special it was. "The other day, we were joking about it, this is pretty emotional," said Treliving. "(He said) 'I followed this team growing up. I could never afford tickets or never get in the place', but when we were upstairs and he got the jersey, it was emotional for him and I get it. As a kid growing up, when you think about it, talk about it, then when it becomes real today, that's a neat thing." 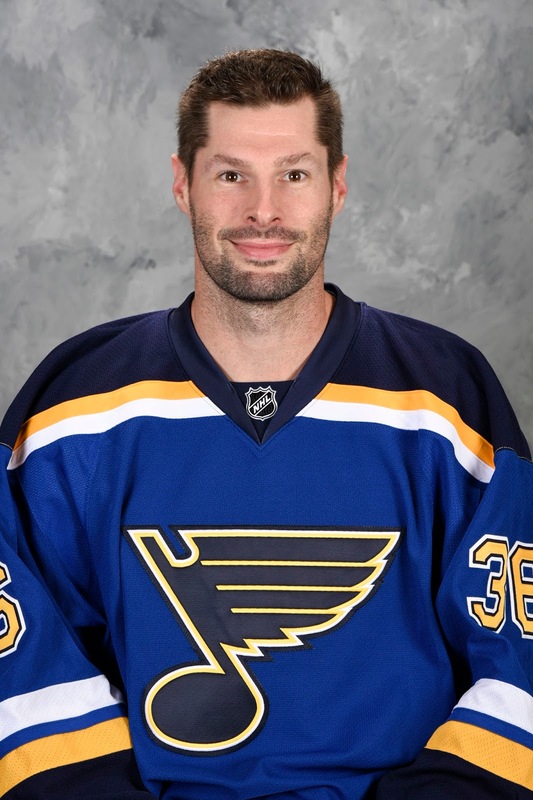 "Moose, we call him Moose," said Brouwer emphatically, when asked about his former Blues and now Flames teammate. "I'll say that right now, we can carry that over here." Yep, you can definitely put Brouwer in the Elliott fan club. "He's a solid goalie. He's a guy that I know in St. Louis, for a number of years, kind of got the short end of the stick. They kept trying to bring in more guys and more guys and then I think they found out last year that he was the guy." Brouwer points to his competitiveness as one of his strengths. "He's just a rock back there. He doesn't get fazed too often, he's an absolute competitor," said Brouwer. "He's that goalie that if you score on him in practice, he'll shoot the puck back at you. Players always get pissed off when they do that but you love to see that competitive spirit in him. He's a guy that will battle until the end for his teammates." Brouwer said even Elliott gave him the Calgary sales pitch and he's only been with the team for a week. "I've texted back and forth with him the other day and he loves being with Calgary. He was even texting me the other day to see if I would come here. I'm excited to be playing in front of him again because he is that good of a goalie." 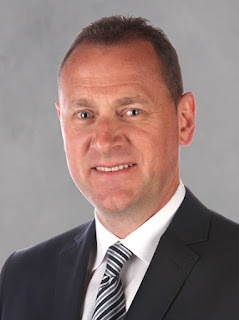 As closely as his scouting staff had been tracking Brouwer's play on the ice, it came as a surprise to Treliving when he discovered that he was in the middle of building an off-season/retirement home in Calgary. "We reached out the other day and his agent told me -- this was during this dating period or whatever it is -- you know what, he's in Calgary, he's building a house," said Treliving, chuckling as he retold the story. "My first reaction is like oh yeah, that's the same with 29 other teams. He's probably building a place in Washington, in Philly and Boston... but he's like no, seriously, he's building a house. So I was like alright, so we kind of jumped on that one." Of course, it was Treliving's house that was at the forefront of the strangest anecdote of the day. The best part is he had no idea until Chad Johnson pointed out to him at their visit. There was one owner in-between. The most bizarre anecdote from today was that Brad Treliving lives in the house that was originally built by Chad Johnson's wife's parents. "I'm not going to change the person that I am or the player that I am. But you have to come in, get a feel for where you're going to fit within the line-up, where are you going to fit within the team, where are you going to fit off the ice," said Brouwer. He's confident that integration will go fast. "Hopefully you learn quickly, you learn during camp and you get to know the guys, and you just be yourself from there. For me, I've said a few things that people don't always like, but I like to think that's what makes me me and that's what some people see good things in. Not everyone wants to listen to it, but that's all part of it. I've got a reputation of someone, who is vocal and tries to be leader and that's the attitude and mindset that I'm going to bring coming here." But make no mistake, he knows that Giordano is the guy in charge and he's committed to helping out, however he can. "He is a phenomenal player. He's been around for a while, been the captain here for quite a while now and he's the team's leader," said Brouwer. "I've talked to a couple guys on the team and they all reiterate the same thing. He's the guy that they follow. "For me, I'm here to make sure I help him along. Make sure I'm helping with his job and making it a little bit easier for him. I want to help, and be a leader, but not step on anybody's toes at the same time." That said, Treliving knows the team will also hear from Brouwer once he settles in. That's just who he is. "Troy's a very good teammate, a great teammate, but will push people. He expects a lot out of himself, expects a lot from the people around him." While Elliott's upon his arrival has been positioned as the starter and Johnson is already viewed as the back-up, the latter is not conceding anything yet. He seems them both as needing to fight for the starter's job. "This opportunity with Brian and I here, both on one-year contracts. I want that opportunity to be a starter and last year through injuries I had that opportunity," says Johnson, coming off a season in which he made a career-high 40 starts. But expect it to be a competition that makes them both better, not one that creates a distraction. "We're both going to really work to help each other, be good teammates, and I know he's a really good guy and in the same way, I'm a team guy, and we both want success so I think it's going to be a nice, healthy competition this year. We want to make this team better, bring that stability in net for the team." It was because he saw Calgary as his best chance for playing time that attracted Johnson, more so than the fact he is from Calgary. "I'm a hockey player, that is where my focus is, the family being here. It's important but it's not more important than my hockey success," said the 30-year-old. "Had a lot of interest with teams, but I had narrowed it down to three teams and it had been a busy week for me with phone calls and talking with coaches and GMs and everybody else, it was a whirlwind, just being married as well, but for me, it was about the opportunity." Switching topics, Treliving did share some thoughts on Joe Colborne signing in Colorado for what most thought was a figure less than what was anticipated. "They all have different timings," said Treliving talking about contract talks. "We liked Joe, we liked Joe a lot. A good man. I can't say enough good things about Joe. We felt our priority right now was to look at certain positions, we have 'x' amount to spend, and then decisions get made on both sides." He later added: "The timing of when decisions are made, that's the timing of when decisions get made." Draw your own conclusion but I get the sense Calgary was determined to address its more pressing needs of a right wing and a goalie first, and that Colborne was also anxious to get a deal done for himself, and neither was going to wait around for the other. Also, after the two Flames signings, likely not enough money left over to afford Colborne, even at a reduced rate. "I do not have any ill will to say against Joe. I had a little text exchange (with him) before I got into the conference here. We're going to catch up probably in the next day or so," said Treliving. "I've had a lot of players over the years and he's a good man. We wish him well and we say it all the time, you cannot keep everyone." The other hot topic is the status of the contracts for Sean Monahan and Johnny Gaudreau. "These contracts, they all take their different pace and timelines. We're not playing for a while yet but they are obviously priorities for us to get done. We'll keep banging away at them," said the GM. "They're priorities for us, they're big parts of this team -- they have been and will be moving forward." As RFAs, they have been issued qualifying offers so neither is going anywhere. Plus the season is still a long way away, yet surely both sides are getting close. "It's not that simple. No contract is, it doesn't matter who it is. We'll continue to work away at it and I know we'll get to a good conclusion. When? We'll see." 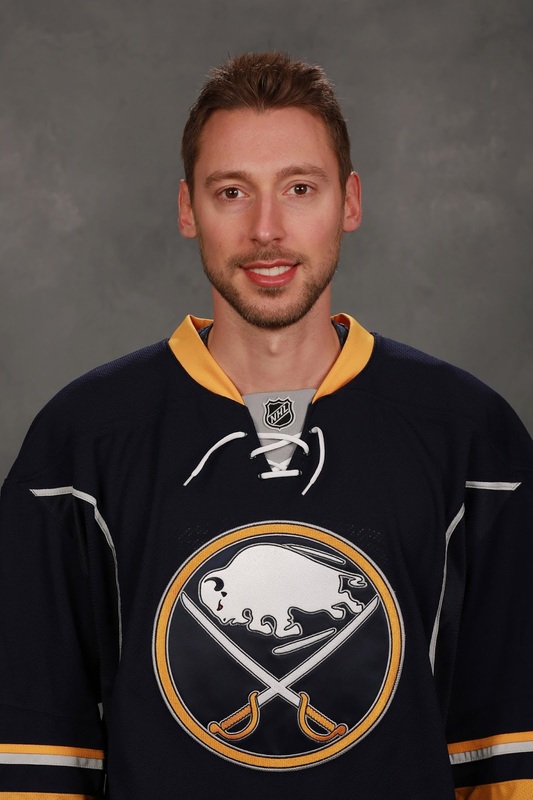 "My first year in the NHL, we made it to the Western Conference Finals and we got absolutely stroked by Detroit, and then the next year, we were able to win the Stanley Cup. Since then, I haven't been past the second round until last year," said Brouwer. "It makes you realize how short your career can be in the NHL and how few opportunities you have to do something good and win." Making it to the conference finals this year was a good run but once again, it fell short. "I was lucky enough last year that we had a great hockey team and pushed through a couple rounds but ultimately didn't get to the goal that we want," he said. Treliving says it's not the be-all-and-end-all but playoff experience is a quality he puts a lot of stock in. "You can never have too many people that played important games. It's not just the fact that they played those games. They know what it takes to be able to be able to get into those games. They know the preparation it takes. They know the mindset, they know the grind of the league, they know the work habits you need," he said. "Having people that have gone through those things. The experiences that Brian Elliott has gone through in this kind of run, and Troy in winning in a Cup and the number of runs that he's been through. That's part of the DNA that you want to grow here and talk with people about." It's his drive to win another Stanley Cup that drove Brouwer to sign with Calgary. So if you're a Flames fan, take solace in the fact that your new free agent signing thinks the team is on the right track. "You have an opportunity to come to a team that has potential to get over that hump and it just needs a couple more pieces, you want to be a part of it," he said. "That was a huge part of the decision for me and it's something I want to help be a part of."